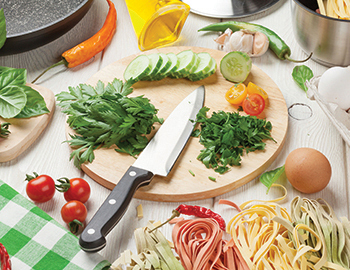 We have everything your chef's need to create those delicious dishes in your kitchen. A large variety of cookware utensils and much more. 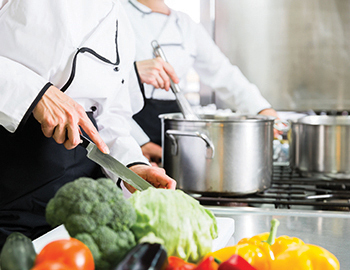 If you’re looking for professional quality restaurant kitchen equipment that will allow your chefs to create the sort of delicious meals that make truly loyal diners, you’ve come to the right place. 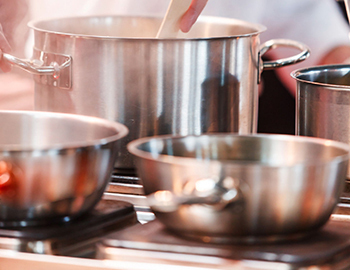 Our equipment has been designed for professionals, offering high degrees of usability and functionality to facilitate the preparation of truly world-class dishes. 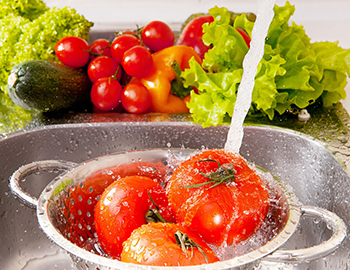 We offer everything a professional kitchen needs to be properly stocked and prepared to please their customers. The Concept Cuisine range includes all the essentials you need and everything we offer conforms to the same stringent levels of quality control and functionality. If it’s not good enough, we don’t offer it for sale; it’s as simple as that. Our stainless steel range is designed especially for commercial use with a satin brush finish that resists scratches and stains. Additionally, this hard wearing and durable equipment includes “staycool” wire lid loops, allowing for superb heat distribution. Also, this material is suitable for all heat sources, including induction. 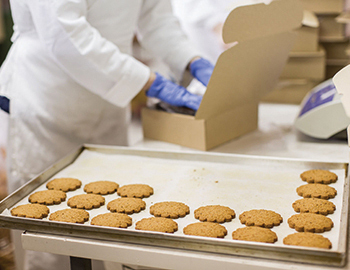 With vacuum formed handles that remain cool to the touch, providing chefs and kitchen staff with safe handling. 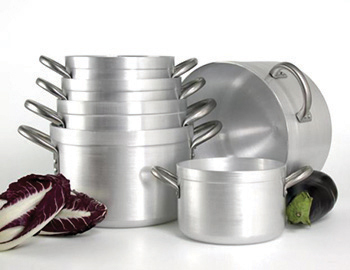 Additionally, the heavy gauge aluminium cookware also provides impact resistance and uniform maximum heat transfer, preventing the hot spots from forming. Chefs and kitchen professionals need a wide range of equipment to complete their tasks in an effective and hygienic manner. 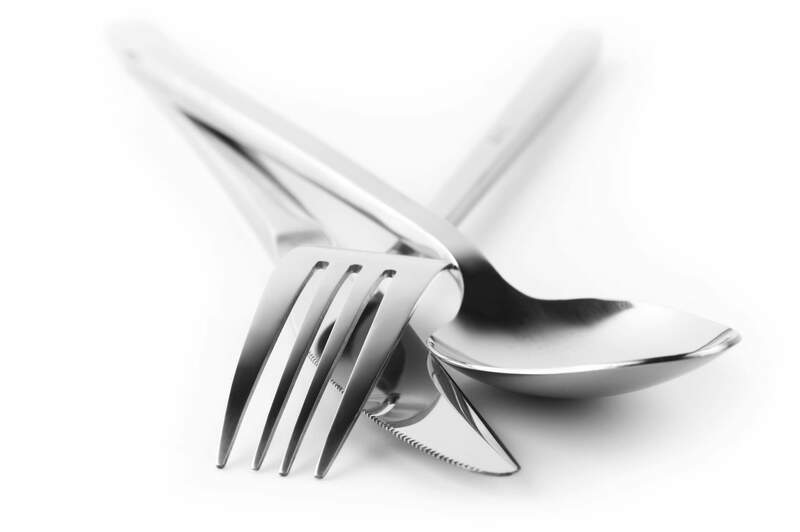 Our selection of commercial utensils includes solutions for all your cooking needs, including stainless steel peelers, wooden spoons, can openers, zesters, and more. Depending on the style of cuisine, the frying pan or the wok is arguably the most essential pan in any commercial kitchen. 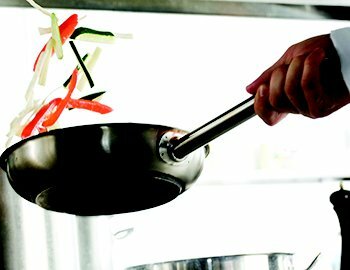 However, as these different styles of pan can be used in a wide range of different styles of cooking, we have a vast selection of pans to choose from including, copper, aluminium, and steel. Preparing food is very important, you need to make sure that all food items are stored and that you use correct measurements. 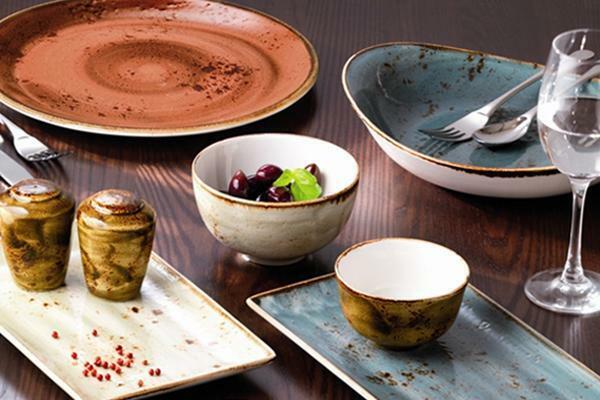 As commercial kitchen experts, we understand the importance of items such as chopping boards, graters, and colanders; so when you’re searching for commercial kitchen essentials, Concept Cuisine has everything a chef needs in their kitchen. A chef’s knife is one of the most important tools at their disposal; it is an essential chef’s tool for food prep. However, in order to keep your knife in good condition you’ll also need a high quality sharpener and cutting/chopping board. The Concept Cuisine online store has a wide range of knives, boards, and sharpeners to choose from. Additionally, in order to comply with health and safety, our range is available in various colour codes so that you can organise your equipment in a manner that complies with all appropriate healthy and safety procedures. 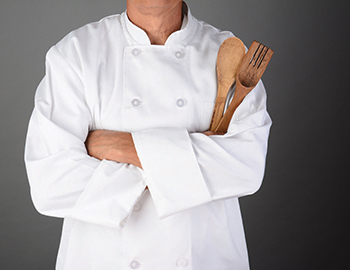 Essential for anyone working in a commercial kitchen, our range of chef’s clothing provides everything businesses need to equip their culinary staff with appropriate clothing. For example, our range includes basic chef whites, black kitchen clothes, aprons, hats, and trousers. What About Equipment Specific To Different Cuisines? 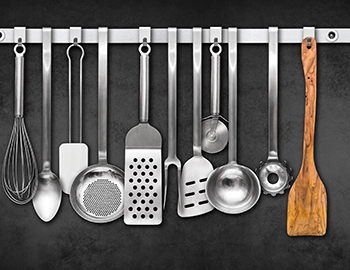 Concept Cuisine also stocks specialist kitchen equipment such as the Tawa or an Iron Kadai. 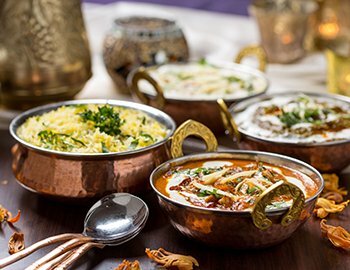 These items of kitchen equipment are ideal for use in Indian cuisine. 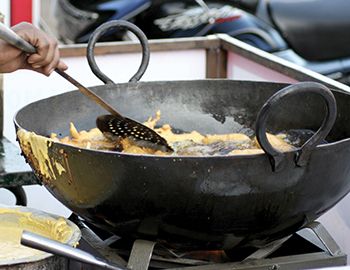 Arguably nothing brings out the taste of Indian cuisine like a dish cooked on a Kadai or Tawa. So if you need equipment for a specific cuisine, browse through our online store, we have a wide range of commercial kitchen equipment designed for a wide range of different cuisines. Kitchen tools need to be functional and reliable, designed to stand up to the rigours of everyday use while providing consistent results. We have all of the essentials covered, and everything we offer conforms to the same stringent levels of quality control and functionality. If it’s not good enough, we don’t offer it for sale; it’s as simple as that. 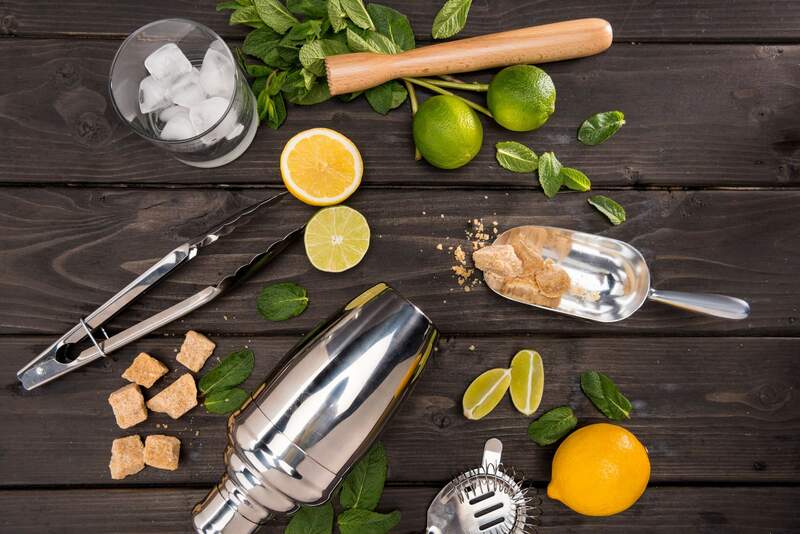 Also, in addition to the fantastic range of kitchen tools and equipment available, you can also enjoy peace of mind with your purchase thanks to our 30 day no-quibble guarantee, and if you spend £75, you can enjoy free UK delivery. 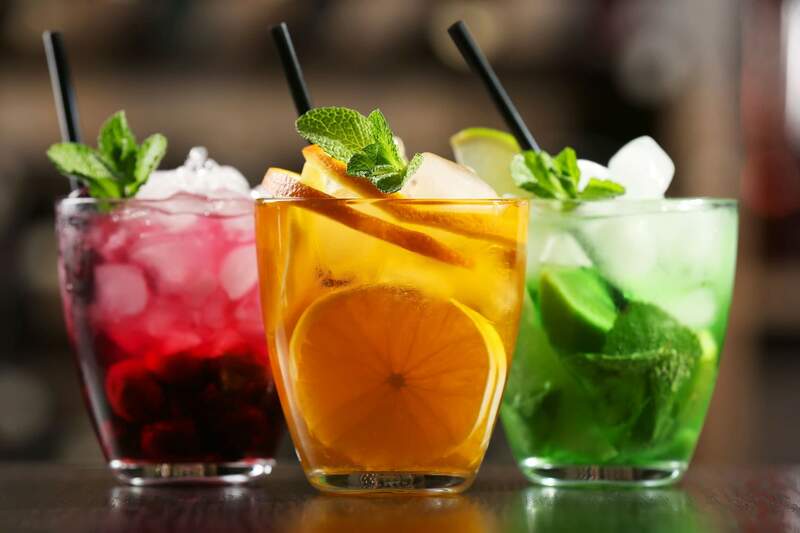 When equipping your business with professional kitchen equipment and supplies, it is very important that you only choose high quality products that you can count on to perform at the highest level. We’re proud to offer you a wide selection of high quality restaurant kitchen equipment and accessories that have been designed to fit seamlessly into any modern and professional kitchen, providing lasting usability which will let your chefs further channel their creativity. If you have any questions or if you would like to make an enquiry? You can get in touch with a member of our team by giving us a call on 02087955712. Additionally, those who would prefer to get in touch with our staff via the internet, please send any questions you have to us by email. Our email address is info@concept-cuisine.co.uk.